The Church in America is blind and naked, poor and pitiful, and completely unaware. Our eyes have been glossed over by comfort and pride, which we wrongfully call Blessing. We puff ourselves up, are proud and arrogant, we look for the praise of men and we try to achieve status. Our prayer meetings are spent asking for wealth and possessions. We look for validation in our works, not by our proximity to the Father’s heart. We have forgotten that only God is good. We have forgotten our first love. We have Spiritual Glaucoma. We need to purchase eye medicine from Jesus. We need to wash in His Holy Spirit and ask for His Grace to see our nakedness [read the Beatitudes] . This should cause us to repent, to weep and wail at our broken state. Write to Laodicea, to the Angel of the church. God’s Yes, the Faithful and Accurate Witness, the First of God’s creation, says: 15 “I know you inside and out, and find little to my liking. You’re not cold, you’re not hot – far better to be either cold or hot! 16 You’re stale. You’re stagnant. You make me want to vomit. 17 You brag, ‘I’m rich, I’ve got it made, I need nothing from anyone,’ oblivious that in fact you’re a pitiful, blind beggar, threadbare and homeless. 18 “Here’s what I want you to do: Buy your gold from me, gold that’s been through the refiner’s fire. Then you’ll be rich. Buy your clothes from me, clothes designed in Heaven. You’ve gone around half-naked long enough. And buy medicine for your eyes from me so you can see, really see. Buy some medicine from Him so we can really see. When I read the first few chapters of Revelation, I’m shocked at how many times Jesus refers to the synagogue of satan. Those who say their Jews/believers, but really not. The church members are participating in acts of their culture. They are not on fire for Jesus. They have stopped pursuing righteousness in humility, and I’m no different. I’m constantly in danger of thinking “I’ve arrived”, or letting my guard down, letting my fire for Him dwindle into job security, family time, house, wife, car, bills, culture. The god of this age has infiltrated American church to the point where we are more concerned about pleasing man than God. My wife told me this week that someone literally left the church because they didn’t like the way the walls were painted. Seriously? Really? 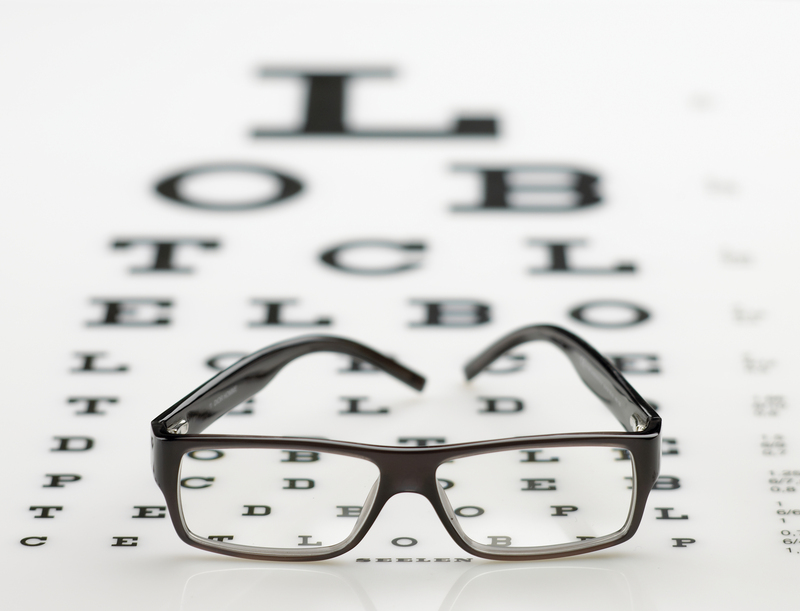 How has our eye sight gotten so bad? We can barely read the top line of the eye chart, that Jesus Christ is the only way to heaven. He is actually supposed to be the One and Only priority of our lives, and the whole reason for meeting together weekly. How much less visible are the second or third lines on the chart? How are we supposed to fulfill the mission of the church or even carry the Love of Christ in our hearts if we can’t clearly see Him? As He passed by, He saw a man blind from birth. 2 And His disciples asked Him, “Rabbi, who sinned,this man or his parents, that he would be born blind ?” 3 Jesus answered, “It was neither that this mansinned, nor his parents ; but it was so that the works of God might be displayed in him. 4 “We must workthe works of Him who sent Me as long as it is day ; night is coming when no one can work. 5 “While I amin the world, I am the Light of the world.” 6 When He had said this, He spat on the ground, and made clayof the spittle, and applied the clay to his eyes, 7 and said to him, “Go, wash in the pool of Siloam ” (whichis translated, Sent ). So he went away and washed, and came back seeing. Jesus heard that they had put him out, and finding him, He said, “Do you believe in the Son of Man ?”36 He answered, “Who is He, Lord, that I may believe in Him?” 37 Jesus said to him, “You have bothseen Him, and He is the one who is talking with you.” 38 And he said, “Lord, I believe.” And he worshipedHim. 39 And Jesus said, “For judgment I came into this world, so that those who do not see may see, and that those who see may become blind.” 40 Those of the Pharisees who were with Him heard thesethings and said to Him, “We are not blind too, are we?” 41 Jesus said to them, “If you were blind, you would have no sin ; but since you say, ‘We see,’ your sin remains. Jesus, please heal our spiritual eyes so we can see how far we’ve drifted from you. We don’t care about Your ways anymore. We don’t wait on You. We come up with our own ideas and vaguely ask for Your blessing on our sinful behavior. Oh God, we are so far away from you. We are not right. We are haughty, prideful. We lift up our ways and look to man for approval. We’ve stopped looking to You, Author and Perfecter of our faith. We’ve lost our first love. We are in desperate need for you, Christ Jesus. Lord have mercy on your Church in America. Help us to see. We’ve been deceived. Our eyes have been fooled. Help us to see clearly your Holiness. You are the most important thing, not just in thought, but in attitude and action. Help us to see your worthiness, Jesus. Your eyes are fire. Your feet are bronze. You hold the lamps in your hand. Personally, our family has been asking Jesus to help us see. He’s revealing patterns in entertainment, spending, attitudes, judgements, pride, unforgiveness, and more that are unholy in His sight. As we pull away from the patterns of this world [spending time entertaining ourselves instead of seeking His face in prayer and His word], He is prompting us to love Him more. Mike Bickle’s teachings on Abiding are awesome. As we spend our time loving the Father and denying ourselves the love of our flesh, Jesus is giving us love for our neighbors and strangers. I’ll mention some briefly cause this is getting long. He prompted me to bless a neighbor struggling with sickness with a gift card. Not a big deal, but He was in it. This grown, tattooed dude began to cry as I handed him the card and just let Him know that Jesus must love him a lot, because He’s been putting him on my heart. Then yesterday at the YMCA, my roomy started a polite conversation with a guy while our arms were getting huge. The conversation somehow turned into church from a brief comment about taking care of our bodies. This led to my roomy sharing his testimony, and this atheist stranger inviting us out to dinner to hear more. As we seek His face, He will heal our vision. He will show us how ugly and worthless the things of this world are. How pointless it is to waste our time toiling after them. He will show us who to talk to, and break our hearts for the beauty of strangers. He will give us His heart for humanity. I’m just beginning to learn/re-learn this stuff, but I don’t ever want to lose my eye sight again.